What Size Do You Like Best? I’m talking about knitting needles, of course!!! 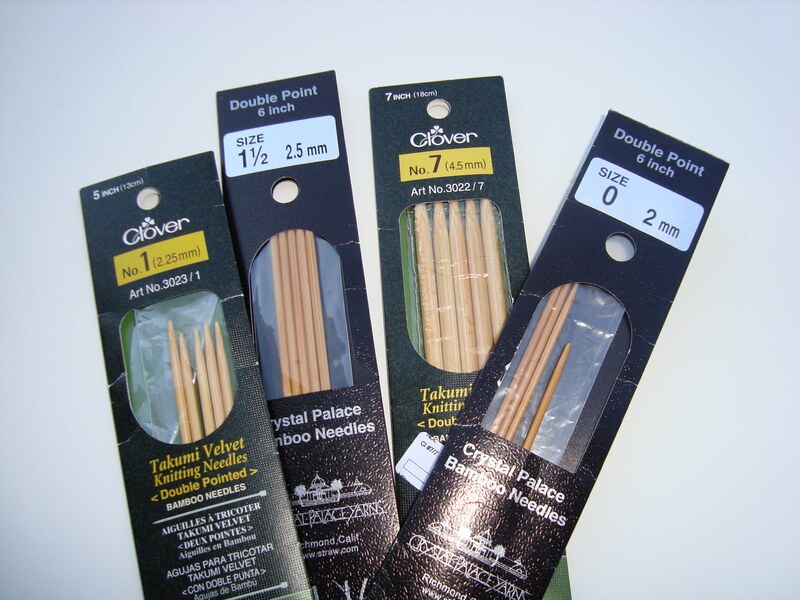 When it comes to DPNs (Double Pointed Needles), I find that I am rather picky about the length that I use. For instance, I’ve tried those tiny, 5 inch long DPNs for knitting socks but I always tend to lose stitches even if I spread the 64 or so stitiches amongst 4 needles. Seven inch needles tend to be too long and pointy when I use smaller size needles for knitting socks but are perfectly fine when I’m using a larger size to knit, for example, hats and mittens. My favorite DPNs are generally six inches long which is long enough not to lose stitches but not so long that I keep getting jabbed in the wrist! So…what size do you like best?